And now it seems that Kermit has already moved on. Even though he is still working with his former love on her late-night talk show, ‘Up Late with Miss Piggy’, Kermit The Frog has recently been seen with a new pig, identified as a marketing executive at ABC named Denise. The new couple seem to be pretty serious already, and Kermit refers to Denise as his girlfriend. And even though ‘The Muppets’ star is happy, people are less than thrilled about his love life. On the other hand, it looks like Miss Piggy is doing just fine without her former boyfriend. 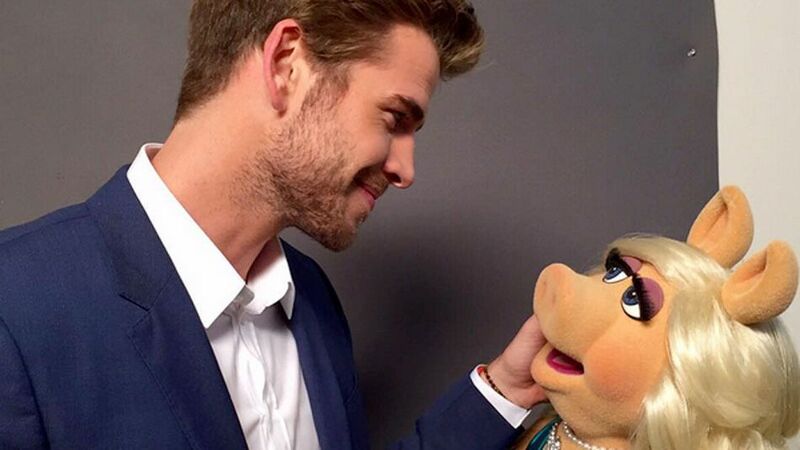 The ‘Up Late with Miss Piggy’ host has been spotted getting cozy with fellow A-lister Liam Hemsworth. The ‘Hunger Games’ star is set to appear on ‘The Muppets’ this month, and he shared a photo of himself looking adoringly at Miss Piggy, with the caption, “Spent Friday with the most beautiful girl in the world. Kermit, #SorryNotSorry. #TheMuppets #misspiggy”.